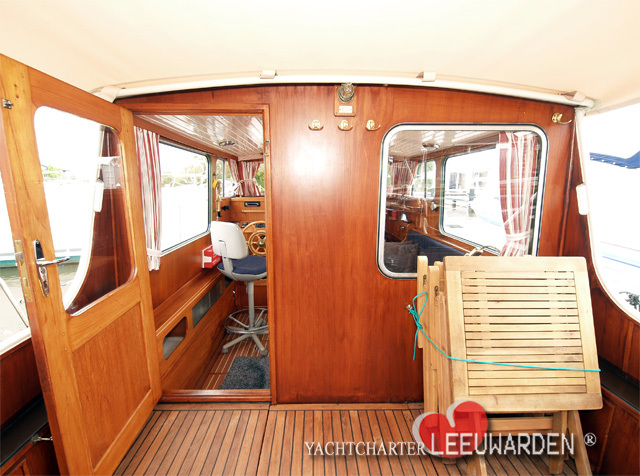 In the begin of the year 2014 we bought these Gillissenvlet , noble executed with Teak deklayout , Teak gangways and the open cockpit is provided with teak too. It is a combination between a model with an aft cabin and a model with an open cockpit. This vlet with 9:50 meters in length offers both an aft cabin with 2 single beds (~ 1.80 meters long ) and an open cockpit to enjoy sheltered the sunset. 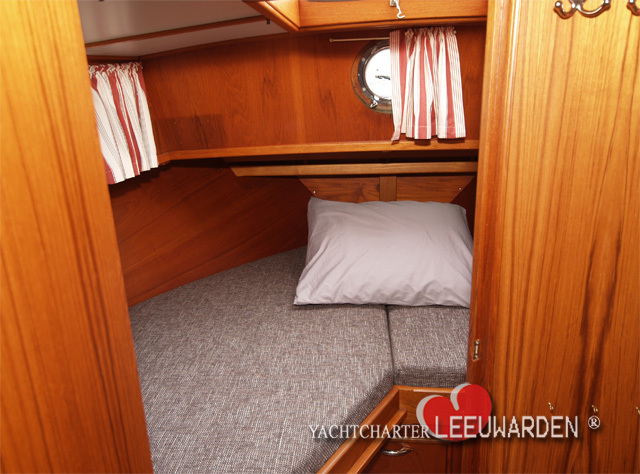 In the front there is a spacious bed, which also offers place for two large people. 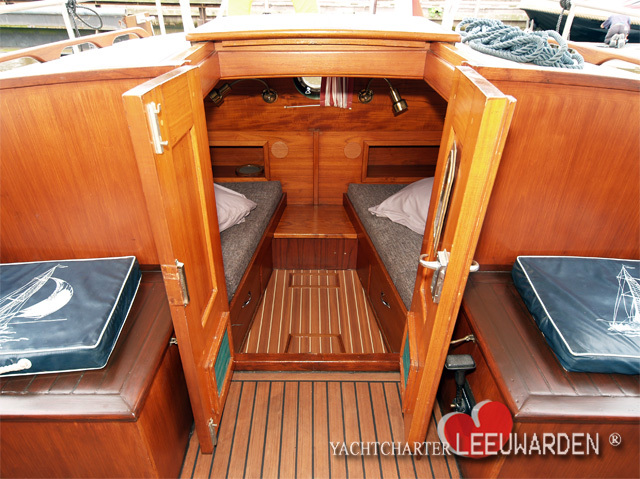 The headroom in the saloon is 1.90 meters well. 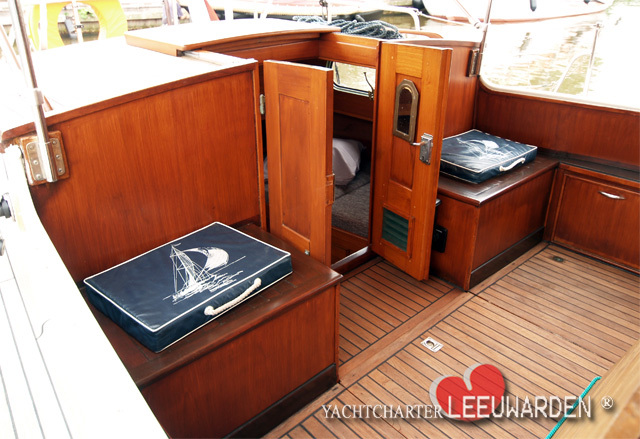 A small but fully equipped kitchen with refrigerator, gas stove is installed on the starboard side. Opposite is the toilet. The sitting area in the salon offers the crew (4 people) enough space for meals , board games ... for the a little cooler period in the spring and fall, a diesel heater is installed. 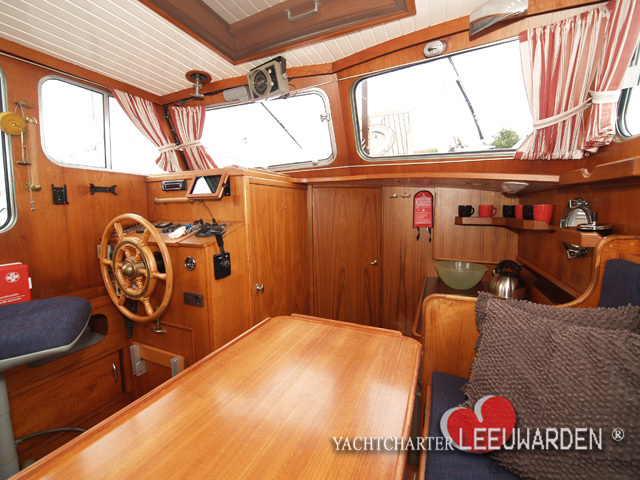 Ensure the drive economical 48 hp ( safe and enough power for this sailing area) , the skipper will be assisted in the harbor maneuvers by the bow thruster. 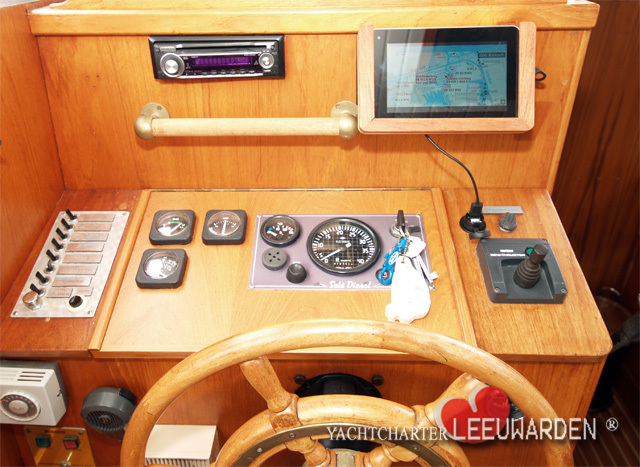 The model has an external controller, which is , however, provided only available for experienced crews. 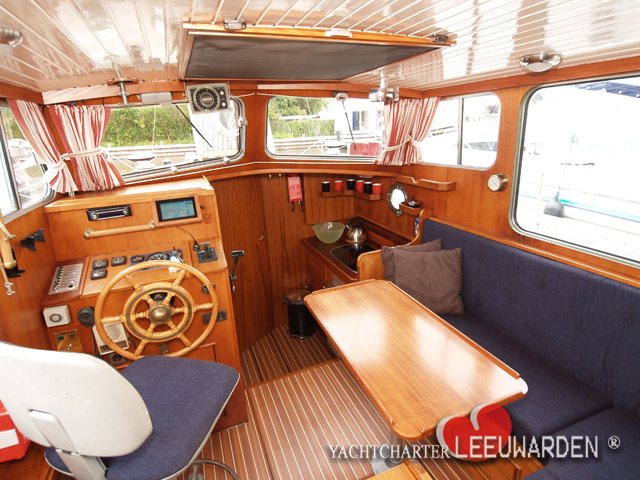 Per person from 165,00 € to 275,00 € price for this ship (Basis for calculation is the number of permanently installed sleeping places), 55plus rate less 20%. Also in the family rate (See rental terms and periods) favorable rental rates. 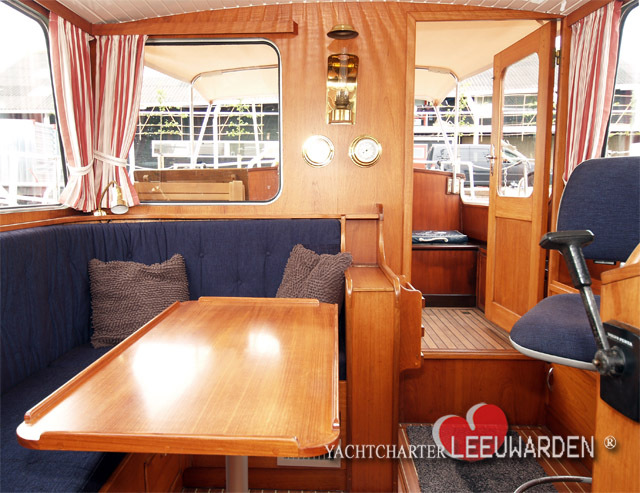 Choose the period and the month you want to sail, available rental periods of Gillissenvlet 950 AK/OK will be displayed along with the price (Start days are Friday and Monday, with different rental wishes please contact us). When you find your rental period click the cube below the date to start the reservation. 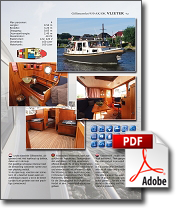 Prices 2019 Gillissenvlet 950 Ak/OK "Vlieter"
Impression Weekend sailing Friesland with the Gillissenvlet 950 AK / OK VLIETER in 2018. Thanks to Volker and crew for allowing us to use the film material. 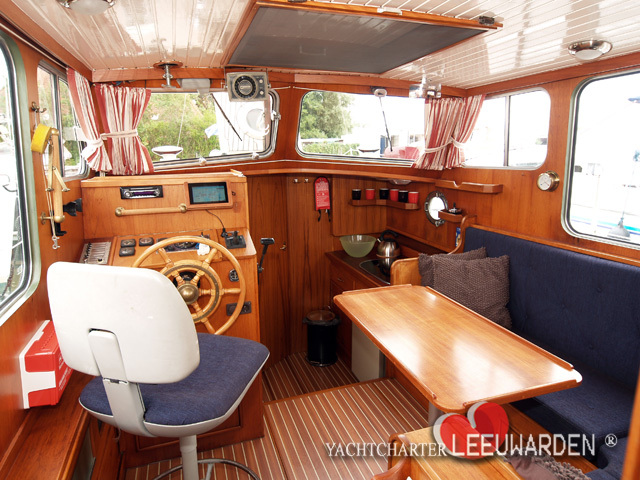 From our home port Leeuwarden you start centrally located in the north of Friesland, with direct waterways to the south, Sneekermeer (via the "Standing mast route") and direction Lauwersmeer. 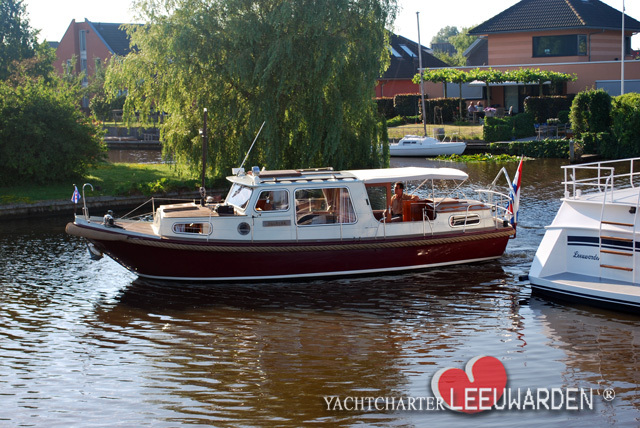 Here you will find the ships we rent out in Friesland. In the availability overview you can see which ships are free. 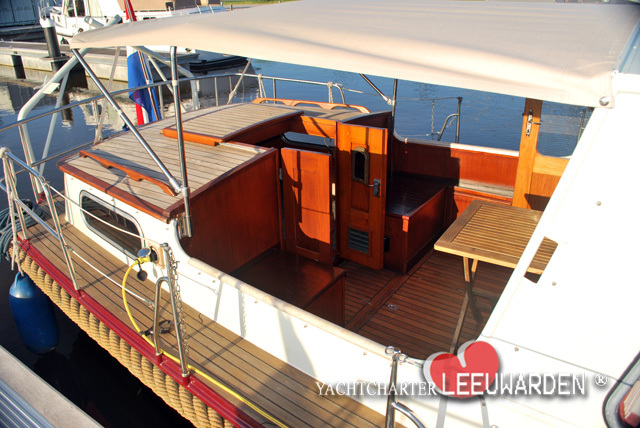 Select the month, the period (week, midweek, weekend), specify the number of people and find your boat. 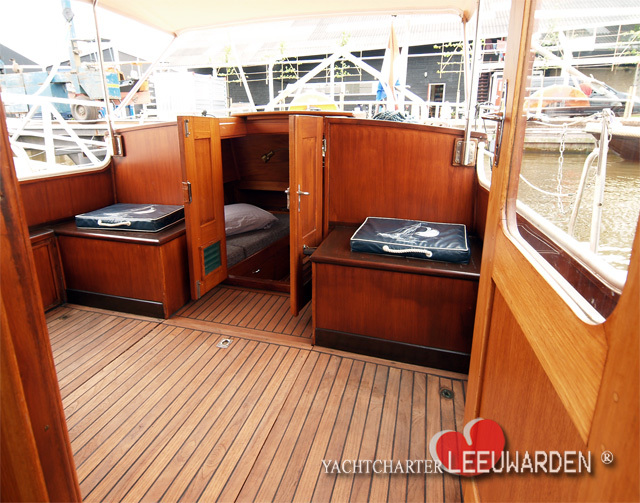 Boats for rent in Netherlands: Yachtcharter Leeuwarden, Dutch channel boats, narrow boats charters company, Friesland, Netherlands. 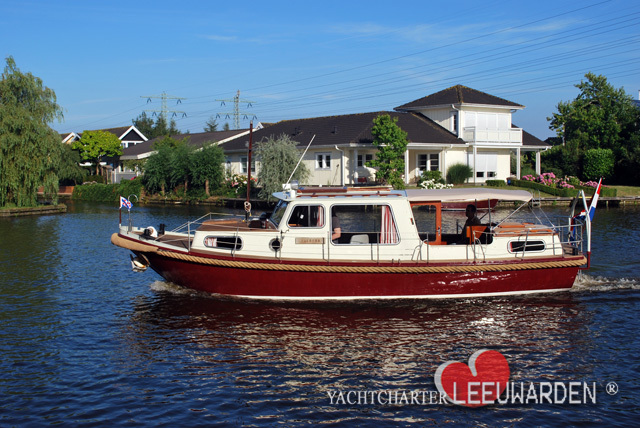 Boating Holiday with a Gillissen Vlet, 4 persons in Friesland. 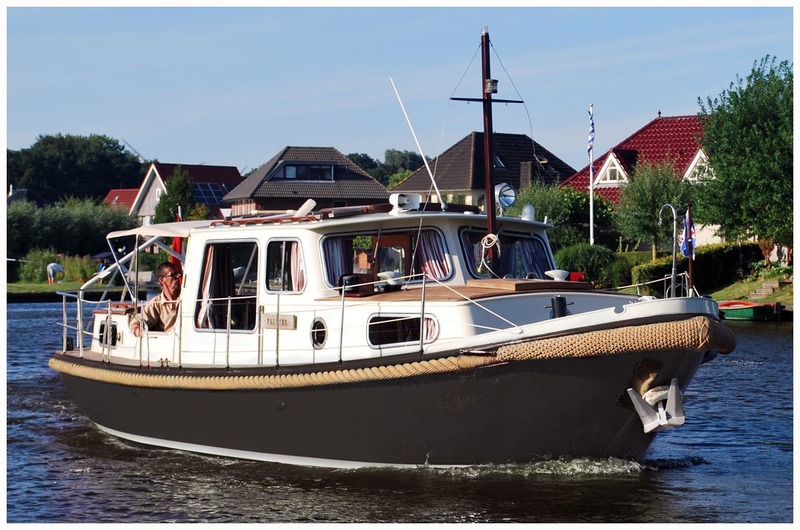 Gillissen Vlet for boating holiday rentals in Friesland. 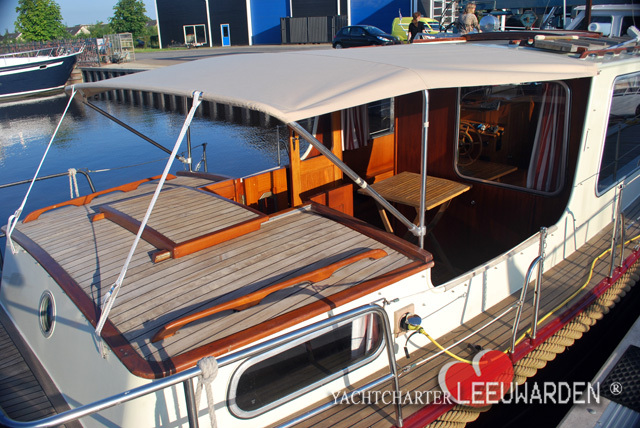 Easy to use for beginners, 4 beds, open cockpit, aft cabin, ... Yachtcharter Leeuwarden Netherlands, motoryachts, shallop for rent, daycruise, sailing area Friesland, for boating holiday with narrow boat. 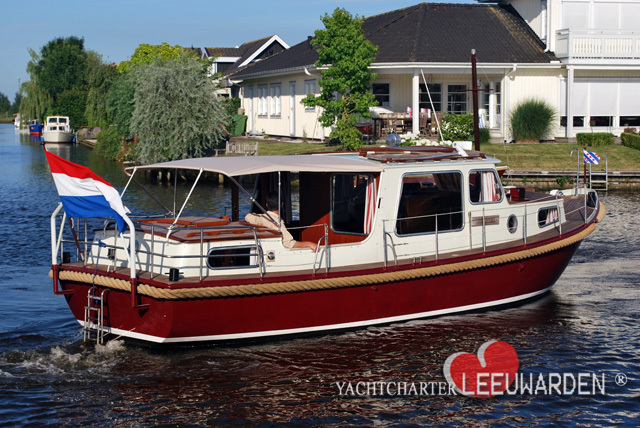 Boating Holiday with a Gillissen Vlet, 4 persons in Friesland.